The country's largest public health information exchange, Healthix, is replacing its IBM patient-matching software with a cloud-based tool made by Verato. The New York-based HIE, which currently uses software made by Verato as a secondary tool, decided to drop the IBM software as its primary tool after running into performance problems that couldn't be overcome. Now, Healthix will use Verato's Universal MPI as the primary patient-matching tool. "Without stable and high-quality matching, pushing data around is meaningless," Healthix Chief Information Officer Todd Rogow said. Patient matching and identification are long-standing problems in healthcare, especially since the advent of electronic health records, which allow data to move around more than they did on paper. Healthcare organizations must move data and correctly link those data to the patients they belong to. To do that, they use patient-matching tools. But there is no national, standard tool. The federal government has taken a hands-off approach to the issue and cannot spend money on a unique patient ID, which could help healthcare organizations match records. Recently, the government eased its restrictions, with Congress encouraging the Office of the National Coordinator for Health Information Technology to give "technical assistance" to the private sector. To meet some of the requirements of the 21st Century Cures Act, the ONC has been working on its Trusted Exchange Framework and Common Agreement, which encourages more cooperative data exchange. "Interoperability across patients is a huge problem in the industry," said Dave Glowacki, vice president of technology for LexisNexis Health Care, which also makes patient-matching technology. "Some of it has to do with the lack of data-sharing and collaboration." Under the framework, the ONC will pick a private-sector organization to drive interoperability among health information networks. That organization could help push a national approach to patient-matching among health information exchanges, or HIEs. But until that happens, HIEs are left to fend for themselves. Rogow said Healthix's switch to Verato is better for the exchange's future, given its ability to handle more data sources. Healthix currently adds about 30 new data sources every month and already links more than 600 healthcare organizations. The way Verato draws on those data sources is also important, Rogow said. Older patient-matching tools tend to rely on deterministic matching based on sets of rules. Others rely on probabilistic matching, comparing demographics from one patient record to demographics from another to determine whether they're similar enough that they're likely from the same patient. Both of those approaches, when used alone, can leave uncertainty. They might not merge patient records when they should be merged, and they also might incorrectly merge two separate patients' records. 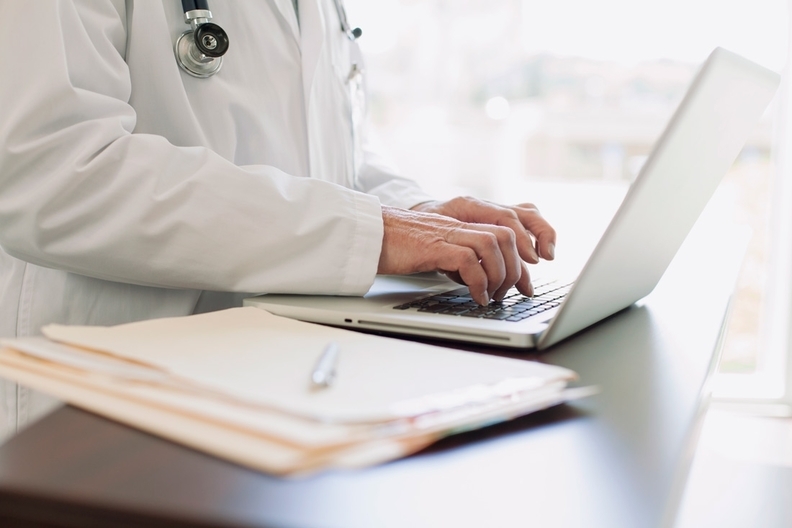 According to Verato, its tool runs into fewer of those problems, since it relies on referential matching—which draws on an external database—to link patients to health records from various sources. "The real strength they bring to the table is reaching out for more public information to help with identity-matching, which is something our current vendor doesn't do," Rogow said. When asked for a comment, IBM said it's seeking additional information. Because Verato's tool produces more certain matches, less manual review of records will be necessary, which saves money. But there will always be a need for at least some manual review, Glowacki said. "There is really no such thing as 100% automated linking," he said. Since Verato's Universal MPI is cloud-based, the switch will also help Healthix reduce its footprint and on-premise center costs. Upfront, the switch won't cost anything, Rogow said. But it will require some extra work, as Healthix makes sure the Universal MPI tightly integrates with existing vendors' software.